We will have three session tracks for attendees: Marketing, Events and Tourism. at this year’s Wine Marketing & Tourism Conference. Attendees can choose to follow one track or attend sessions from different tracks. United We Stand: Aligning around the path to purchase: To get the best results for all stakeholders in a destination’s wine tourism industry, everyone needs to be singing off the same song sheet. From the destination marketers, to the media, to the trade, to the wineries, everyone must have a coordinated role along the consumer’s path to purchase. SEO Goes Local: Local Search Engine Optimization is the process of optimizing your online business to be discoverable via local organic search. Find out how you can optimize your local SEO by using your physical location and specific location keywords that non-local users can use to find you. How To Use Online Rating Sites to Your Advantage: Want excellent customer reviews online? Focus on offline service for online results. Emphasize providing a great visitor experience. What you do – or don’t do – during a visitor’s stay determines the guest’s experience and resulting review. 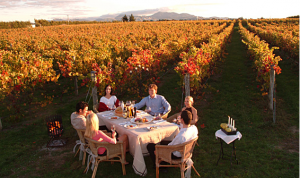 Working With Regional Hotel Concierges to Drive Traffic: Almost all local wine country businesses would love to have referrals from their local hotels, who house most visitors to the area. Hear from a panel of hospitality experts on creating a successful program to work with local and regional hotels. The 2018 Wine Marketing & Tourism Conference will be held October 23-25 in Santa Rosa – to register, please visit our registration page at www.winetourismconference.org. Early registration deadline is June 30th, so register today!